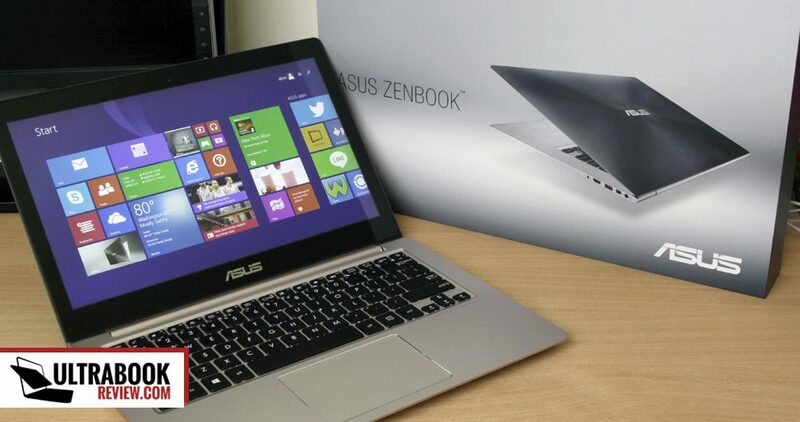 I’ve got my hands on an Asus Zenbook UX303LN and played with it in the last days. 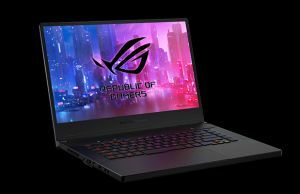 This one will be officially released later this year (around July-August) as probably the most powerful 13 inch Zenbook of the 2014 line, with the updated Intel Haswell processors and Nivida GT 840M graphics, plus other top of the line specs. 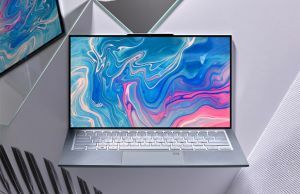 That makes it a direct successor for the much hyped Asus Zenbook UX302LG and the more recently launched and only scarcely available Asus Zenbook UX32LN. I also have to add that this is an engineering sample (thus, a pre-production unit) I was offered for tests by Asus, so it’s not a final retail unit. Even so, with the exception of raw performance, which might actually improve with new drivers, by the time the UX303LN will actually hit the stores, most of the other aspects are pretty much what you should expect from the retail versions. My detailed review of the Zenbook UX303LN is up and you can find it in here. Have a look! 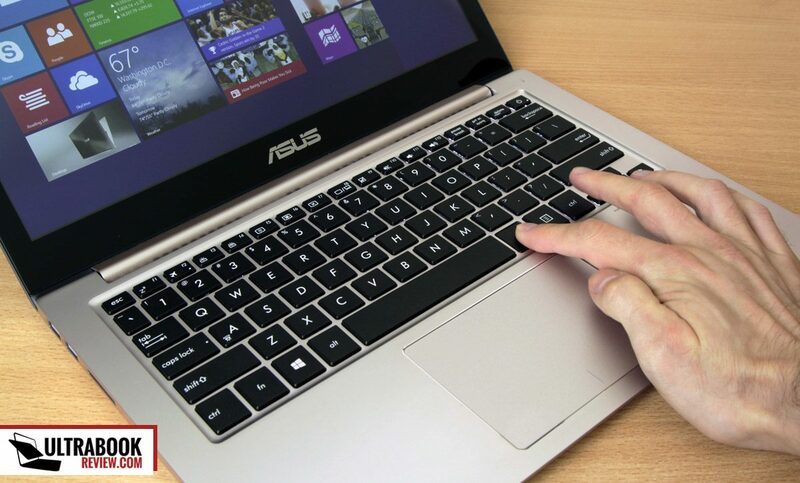 Update: There are some newer versions of this laptop available in stores, the Zenbook UX303LB (with Broadwell hardware and Nvidia 940M graphics) and the Zenbook UX303UB (with Skylake hardware and Nvidia 940M graphics). 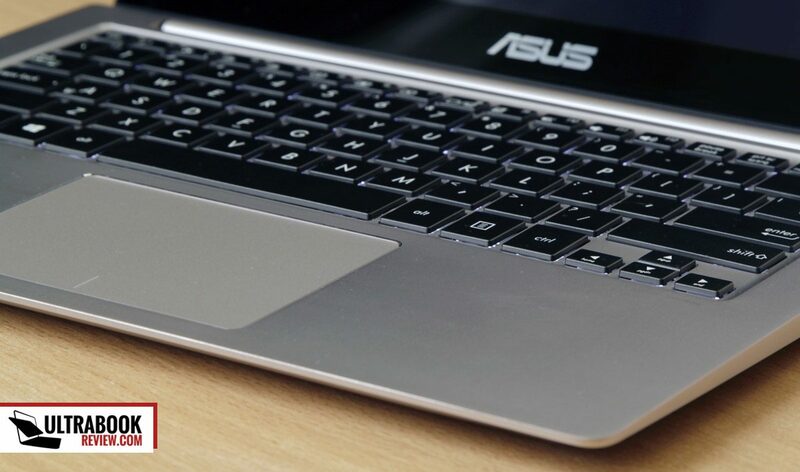 The Asus Zenbook UX302LN borrows its lines from the Asus UX32VD, with a fully metallic body. Aluminum covers the lid, the inner case and the underbelly. However, this new unit got a more subtle finishing. Older Zenbooks sported those pronouced concentric circles on the hood and a brushed patern on the palm rest. On the UX303LN, the palm-rest is no longer bruched, but simple, plain, like a Macbook, while the circles on the hood seem to have been toned down as well. 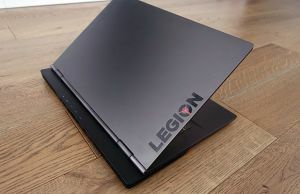 At the same time, the sheet of metal covering the belly feel sturdier, thicker than on the older UX32VD, which gives the entire laptop a more solid feel when grabbed and carried around. 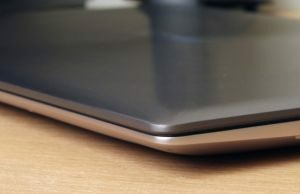 The UX303LN is pretty much as thick and solid as the older Zenbooks. I’ll have the exact numbers in the review. 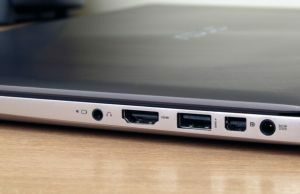 It also sports a solid selection of ports, with 3xUSBs, Full Size HDMI, mini-DP and a card-reader, plus the adapters included in the package, so nothing has changed on this front. 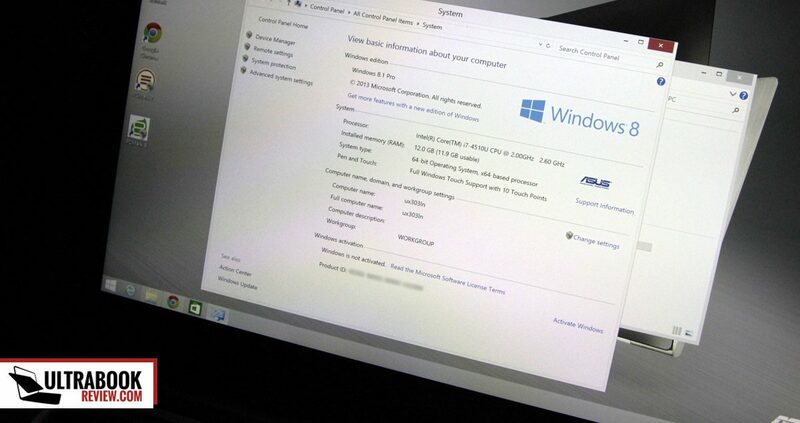 The screen however is a novelty for a Zenbook, as the UX303LN gets a 13/3 inch 3200 x 1800 px panel (hardware ID SDC424A). 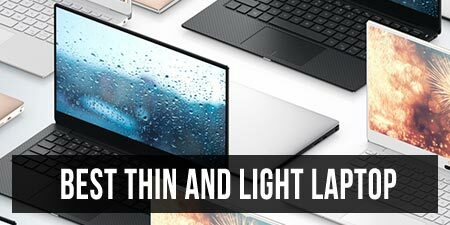 That’s the same panel we’ve seen on some Lenovo Yoga 2 Pro and some Samsung Ativ Book 9 Plus ultrabooks, and it comes with pros and cons. For the pros, it’s a fairly bright and sharp panel. Actually using the laptop at full resolution with the fonts scaled to 200% results in crisp and sharp interfaces and fonts. The same panel was a lot fuzzier on the Yoga 2 pro that I tested a while ago, and that may be due to Windows 8.1s scalling improvements, or maybe the glass coating on top? Not sure, but the experience is clearly better, although I no longer have the Yoga 2 Pro for a side by side comparison. On the other hand, the murky yellow problems that a lot of Lenovo users have been complaining about is still here. Simply put, this unit will not display proper yellows no matter of the Power Mode picked, but some sort of mustard-like color. The pic below should give you an idea. That’s bad, but Lenovo actually solved this problem with a BIOS update (for all profiles except Power Saver), so hopefully Asus will do the same thing by the time the UX303LN will hit the stores. Not much has changed here from the previous generations. 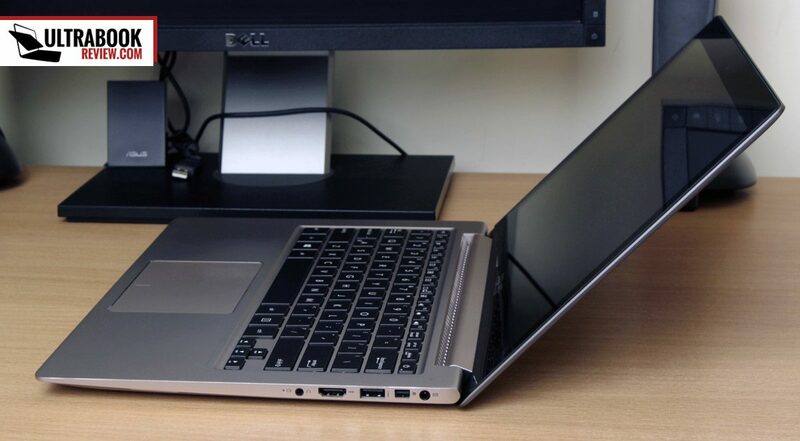 In fact, both the keyboard and the trackpad look a lot like the ones on the UX302LG. I feel that the keys travel a bit more into the chassis than they did on the UX302 though, if I remember correctly. May be wrong here, I don’t know. Oh, and there’s another thing worth mentioning: there’s some flex when pressing the middle of the keyboard which was not that pronounced on the previous UX302, but again, I’m not entirely sure here, as I don’t have the two side by side for a proper comparison. Hardware wise, this unit comes with an Intel Core i7-4510U processor, 12 GB of RAM, a 256 GB SSD made by SanDisk and Nvidia’s GT 840M dedicated graphics chip. I other words, it’s quite a beast. Nvidia’s drivers are still fresh and I couldn’t get anything newer than 332.50 to work on this unit. So I’m not really sure this laptop is running at the best of its abilities. Even so, the numbers I’ve got in both benchmarks and games show an improvement over the Asus UX302LG. I’ll tell you more about those in the review. That aside, the UX303LN is running quiet and mostly cool. 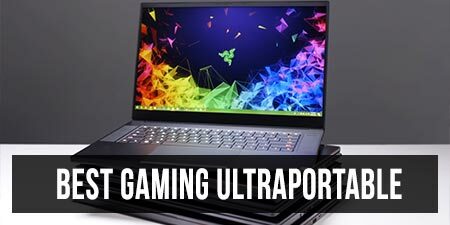 With daily use, the fans are barely audible in a silent room and the aluminum body gets merely warm on the belly and just on top of the keyboard. The exhaust is still pushing hot air towards the screen, which I was hoping Asus will change, as the bottom side of the panel can get quite hot when running games and that might have a negative impact on the long term. On top of all these, I should also add that this laptop is rather slow to charge when used. In fact, it barely charges when playing games or running other demanding software, but that was expected. The charger’s tip is also a bit loose in its place, but given the same tip has been used on most recent Zenbooks, that’s probably an issue with my unit. As for battery life expectations, well, I’ve yet to finish my tests, but based on BatteryBar v3.6.3, the UX303LN discharges with an average of 8-10 Wh while performing casual daily activities (browsing with several tabs opened, watching some movies, listening to some music, with Wi-Fi ON, Balanced Mode, screen at about 50% and the Keyboard’s illumination set on the lowest level). That’s not bad. You’ll find more about this laptop in the detailed review available here. Anyway, these are the main things I wanted to tell you about the UX303LN for the time being. 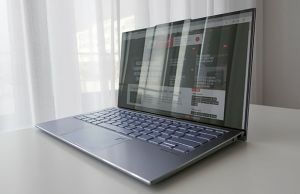 We’ll get more in depth on each important aspects in the final review though, including the screen, the keyboard and trackpad, the battery life, connectivity and of course the performance and temperatures. And if there’s anything else you might want to know about this laptop or anything in particular that I should try, go ahead and let me know in the comments below. I plan on posting the review by Monday, so I do have a few more days to test out stuff, before sending this Zenbook UX303LN back to Asus. 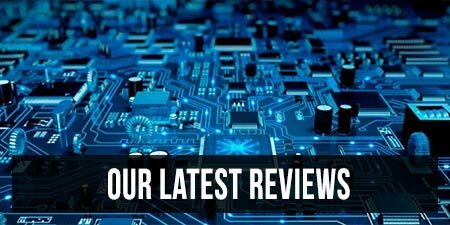 Update: The review is up and can be found here. Any chance you could open it and have a look at the insides of this laptop? I’d be interested to see if it throttles while gaming. Perhaps run GPU-Z in the background and record the minimum core clock speed after an hour of gaming? The Maxwell series 840M seems to be surprisingly well cooled in the ux32LN, according to owners – and it thus would lend itself nicely to some overclocking. According to some guys at Notebookreview it could hit the level of a 760m. I know its much to ask, but would try overclock it? Just a litle bit? Screen again, I see the mirror reflection in your review. So I suppose it’s touchpad just like ux302lg right? 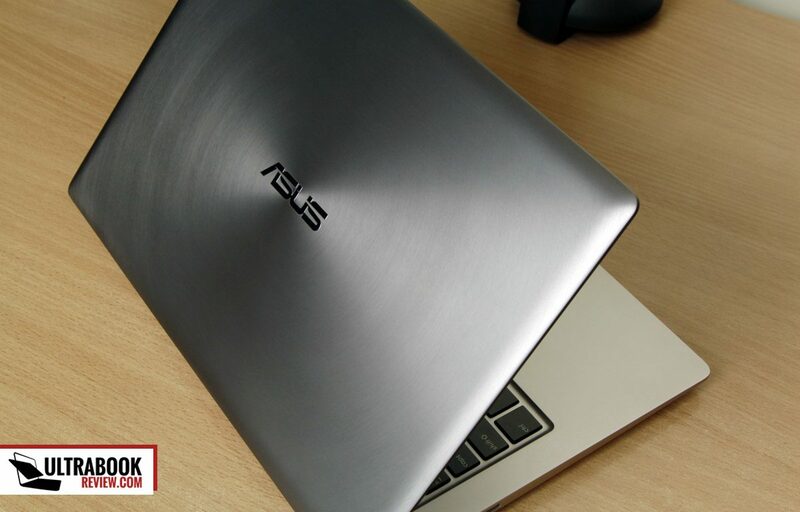 is Asus Zenbook UX32LN LOUD Fan ? 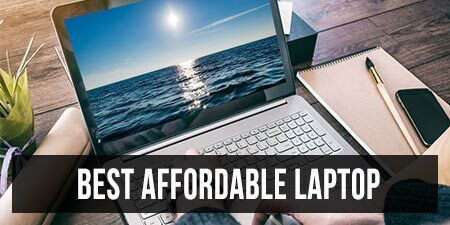 i think this is one of the best laptop right? where can i buy it ? ah, I`m so tired if waiting :( any saggestion of other laptop ? Any given price for North America yet? and… any words on power button not being next to the delete button? Please test any statistical package if available. can you be more precise? What does a “statistical package” mean? Glad you are really up on early releases. 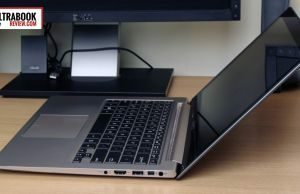 I’d appreciate if in your review you could (hopefully begin a trend) to mention as many of the various options–such as availability of pen input, keyboard compared to say the Thinkpad gold standard, responsiveness to touch input, weight & battery life, and as you’ve been doing, detailing the hi-res screen–which are now multiplying with different form factors of ultrabooks, convertibles, 2-in-one, etc. I think that far too little is mentioned about how useful the touch is with machines (is the screen stable/stiff enough or does the entire thing bounce when you poke it, etc) and whether or not pen/stylus input works well. Some of these items really can make a system much more useful or fun than for example a Mac or less versatile laptop. Есть несколько вопросов по этому ноутбуку. Давно хочу сменить свой старенький Асус на новый. 2) Будет ли модификация с экраном 1920 x 1080? 3) Есть ли возможность расширить оперативку? 4) Жесткий диск в форм-факторе 2,5 дюйма? 5) Интересует так же, экран глянцевый или матовый? 2. 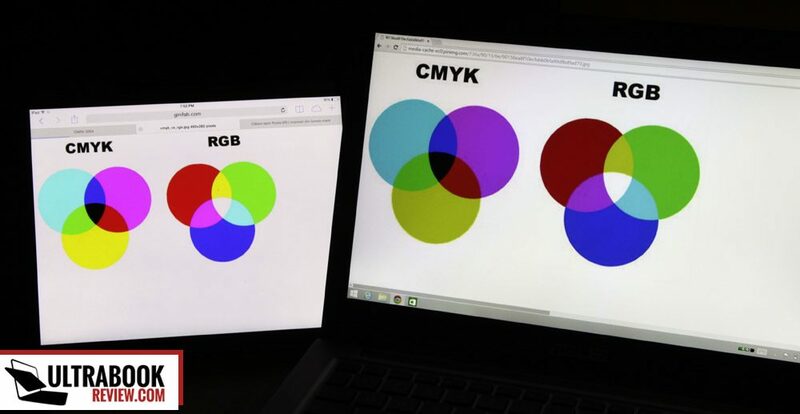 Not sure what you’re asking here, but if it’s there will be a 1920 x 1080 px version, the answer is I don’t know. 3. Yes, I’ll have details in the review. 5. glossy, since it’s a touchscreen. Yes, it has a unibody-like conctruction and it feels generaly solid. 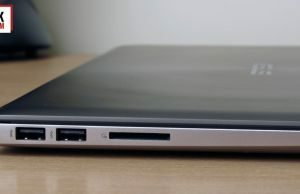 Still, the lid cover flexes more than it does on the Macbook Air when grabbing the laptop or when directly pressing it. Other from that, I’d say the two are on par in terms of sturdiness and build quality. So if I get it correctly: this is the successor to the UX32LN that is at the same time the successor to the UX32VD right? One last thing: I´m quite confused with the codes of the machines since the UX3#LN(G) are same design as the older zenbooks (aluminum and no glass cover) and the UX30#LN(G) features glass for the chassis BUT this one on the contrary codes as UX303 and has no glass on it, am I getting it right? Hey Jorge. You’re right, the UX32LN and the UX303LN both have an aluminum case and have a bigger hinge stretching over most the the screen’s lower part. The UX302 and the UX301 are the only series with Gorilla Glass on the lid and on the palm-rest, plus the redesigned two smaller hinges. I’ve seen this online saying that they’re waiting for availability, however the price is always like$1250 for the i7 12 gig 256gig ssd variation. That seems to good to be true. What kind of price have you heard? I have not details on prices just yet. I’ve seen those listings as well but I highly doubt that config is going to be that cheap. 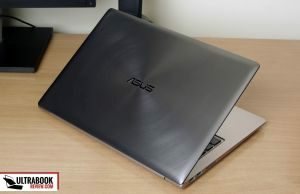 Guys, I think I’ve answered all your questions in the detailed review: https://www.ultrabookreview.com/4274-asus-zenbook-ux303ln-review/ . Have a look and let me know if there’s anything I missed. You mention the price in EUR in your review but I am having a hard time finding it in Europe. Can you let us know the source where you obtained those prices? Asus officials are my sources. Does this zenbook come with a free cover case like previous generations? If so, what color and material? btw, great review, thanks for the info. Sry, i really don’t but I’ll ask on Monday and get back to you. Drop me a line if I don’t by Tuesday evening, I have a lot on my mind and might forget. 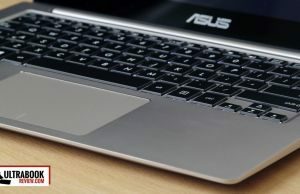 It’s a shame ASUS doesn’t provide any release dates or information on configurations that will be coming out beforehand. You just have to kind of wait and see…bummer. Is the screen covered with gorilla glass? Did they fix the yellow thing problem yet ? Does it have an IPS Display? How is the view from the angles? 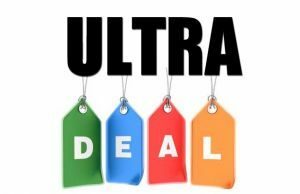 altex.ro/ultrabook-asus-zenbook-ux303ln-dq283p-intelr-coretm-i7-5500u-pana-la-3-0ghz-13-3-qhd-touch-screen-12gb-256gb-nvidia-geforce-gt-840m-2gb-windows-8-1-pro – Only here it says it has IPS screen. But in all other places it doesn’t.